The Viper series by Airhead features a collection of cockpit style towable inner tubes, and this version is the largest, seating three people. 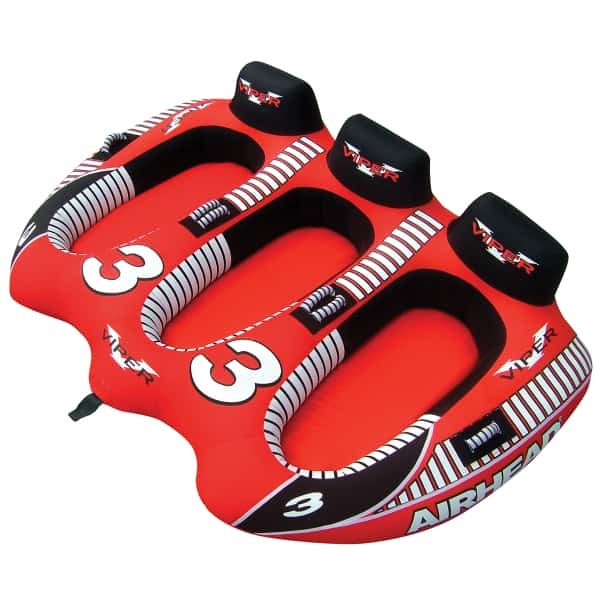 The bottoms are shaped like boat hulls to deliver a lively and stable ride that whips easily in and out of the wake. 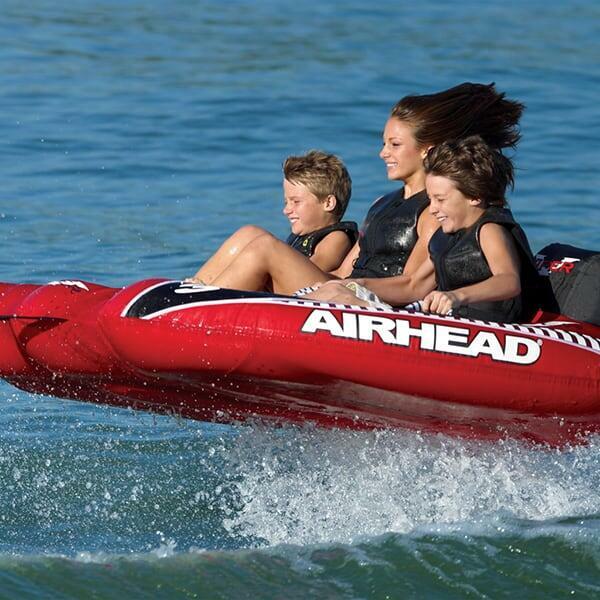 The Viper seating style make the riders feel safe, stable and comfortable, so they are ideal for beginner tubers, nervous tubers, or young people and old people. The seat resembles the sense of sitting on a comfortable, inflated floor that is backed by a seat back and flanked with handles. The striped nylon wrap handles have neoprene knuckle guards for comfort. The durable inner 30 gauge bladders are encased in durable double-stitched nylon, and there is no exposed PVC. An Eva “Indy Cap” covers the Boston valve. The Viper 3 Rider is covered with lively graphics that are inspired by NASCAR. Tubers, young and old, start your engines!